The APRA-S2500A from Advantech Wireless is an S-Band GaN-based Solid State Pulse Amplifier that operates from 2.7 to 2.9 GHz. 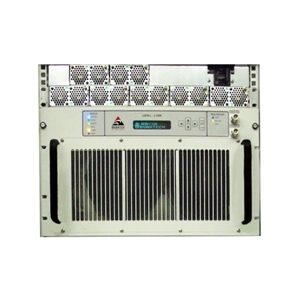 It provides an output of more than 2500 W @ 10% duty cycle over the full band and operating temperature range. The amplifier has a fast pulse rise/fall times of under 100 ns. The in-built duty cycle monitor and pulse width monitor ensures trouble-free operation. It is available in a 3 RU / 19&rdquo rackmount chassis and is ideal for radar, critical infrastructure, government and military applications.